In a building that formerly housed the Faith Mission homeless shelter, the space was transformed into an inviting coffee cafe. The renovated space enhanced the original building features, including the hardwood floors and brick walls. 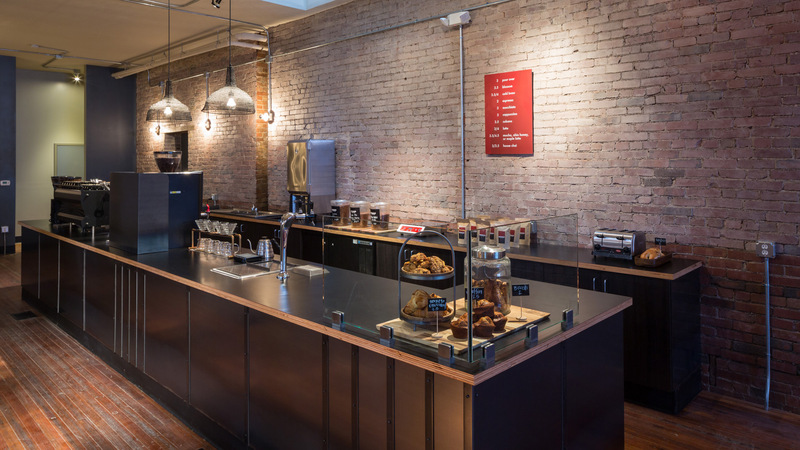 The coffee shop renovation included the installation of a 15 kilogram roaster, and a coffee laboratory that will be used for training, quality control and providing delicious cups of coffee.